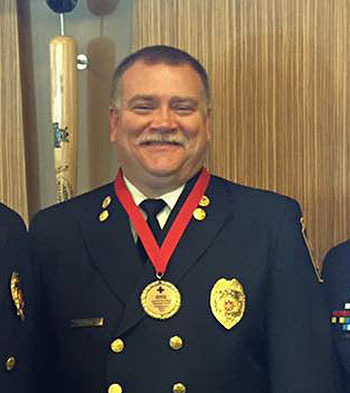 Thomas Cook, MBA, Point Park University public administration part-time instructor, was named assistant administrator of the Pennsylvania Fire Academy. His responsibilities include overseeing the PA Fire Academy's training system and resident program, as well as developing curriculum. Prior to this position, Cook served as the assistant fire chief of the City of Pittsburgh, where he oversaw the administrative, support, operations and prevention functions of the fire bureau and managed more than 650 employees. "Tom is a great fit for the PA Fire Academy's assistant administrator position. We're excited he will continue teaching for us," said Robert Skertich, Ph.D., associate professor of public administration and coordinator of the public administration program. Cook currently teaches two classes for Point Park — Personnel Management in Fire and Emergency Services and Political and Legal Foundations in Emergency Services. Students in the public administration program (also offered fully online) at Point Park University have the unique opportunity to be taught by city fire chiefs, EMS administrators, public safety professionals and more. Concentration options include emergency medical services administration, fire service administration and public administration (general concentration).